Nirgundi is a popular Ayurvedic herb for worms, poisoning, inflammation, and symptoms of menopause. It is heating in energy and pungent, bitter, and astringent to the taste. Along with teak wood, it is one of the few geneses of trees in the mint family. 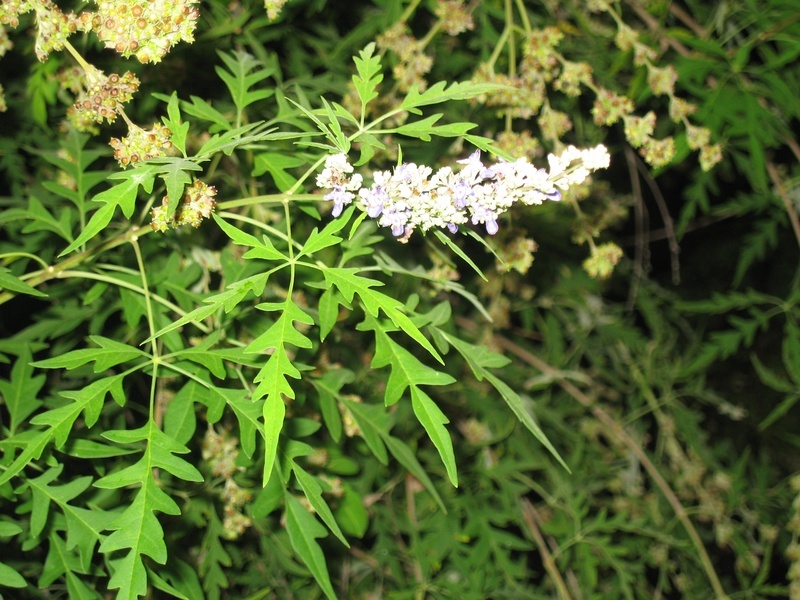 The European species of Chaste tree (Vitex agnus-castus) has been used for centuries in the Christian monastic tradition to encourage celibacy. In fact, it is said that even today when novices enter Convents in Spain that the flowers from this tree are strewn upon the floor. These traditions have give Nirgundi its popular English common name "Chaste tree." Nirgundi is said to be good for women problems, and specific to treat the symptoms of menopause. The agnus-castus species has stronger emmenogogue properties and is used in cases of dysmenorrhea (which is the main application of the herb in modern Western herbalism). The Ayurvedic species (Negundo) also has a great effect as a circulatory and nervous tonic. It may be used with other sedative and tonic herbs to calm the nerves or to reduce nerve pains. For these purposes it combines well with ashwagandha, nutmeg, shankhapushpi, and costus. It can reduce inflammation and swelling in the joints for which it combines well with manjishtha, turmeric and shalaki. It is very useful in removing parasites (see recommendation under kalamegha). It may be used to treat coughs for which it may be combined with vasa, pushkarmul, yashti madhu and sugar. It rejuvinates the eyesight for which it may be taken with triphala, and babuna. And helps prevent thinning and graying hair for which it combines well with bhringaraj, amla, brahmi, and shalaki. It may improve the memory for which it can be taken with brahmi, gotu kola, vacha, and shankhapushpi. It is helpful for skin disease for which it may be taken with bakuchi, haridra, alma, ushira, and anantamul.